Please note that the Archaeology Gallery will be closed 7th - 14th April and the Gallery will be closed 1-3pm 13th April. The rest of the museum will be open as usual. Welcome to Ceredigion museum, housed in a beautifully preserved Edwardian theatre. We are situated in the heart of Aberystwyth, near the seafront. We are open Monday to Saturday from 10-5pm and entry is free. 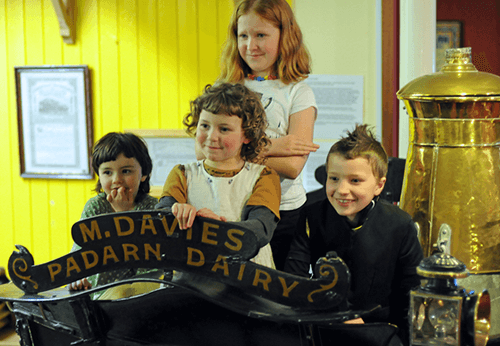 The museum is home to both permanent and temporary displays that explore Ceredigion’s heritage, culture and art. The museum is open to everyone; young, old and everyone in between. As well as being a thriving museum we also have film nights, performances, workshops, a bustling café serving delicious local produce and a museum shop. To receive all the latest information on events and exhibitions subscribe to our mailing list here.